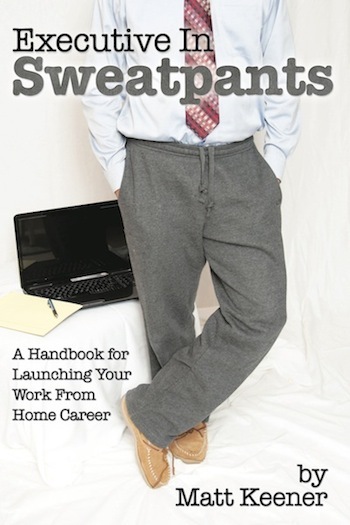 I’m very excited to announce the official launch of my book, “Executive in Sweatpants: A Handbook for Launching Your Work From Home Career”. The initial launch will occur exclusively on Amazon Kindle (eBook format) later this month. After the period of exclusivity on Kindle, we will be rolling out availability in other formats and through other channels. More news will become available as the launch date approaches. In the meantime, below is a preview of the book’s cover. 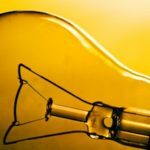 Feel free to share your feedback! Love the cover! Cant wait to read the book! Thanks, Steve. I’ll be sure to keep everyone posted once the book is available for purchase. Smart idea for title and cover , I’m sure the book will be as interesting. Hi Irfan – Thanks for the nice feedback. Nice cover! It catches your attention very quickly… Can’t wait to read the book! Thanks for the compliment! Glad it grabbed your attention.